Blizzard has decided to cancel its yearly convention in order to focus on its upcoming projects. It's the end of days! Well, not entirely, but fans of Starcraft and World of Warcraft are going to have to go a whole extra year without BlizzCon, as Blizzard announced its cancelling this year's convention. 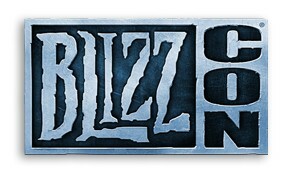 "In light of our jam-packed schedule," Blizzard stated, "We've decided to hold the next BlizzCon in 2013." In its place, Blizzard will be hosting the 2012 Battle.net World Championship in Asia towards the end of the year. Gamers worldwide can attend the eSports event, which will feature "some of the most skilled pro players on the planet [battling] it out for cash and glory." it's not entirely a surprise that Blizzard might be looking to refocus its efforts, especially with Diablo 3, Starcraft II: Heart of the Swarm and the next WoW expansion Mists of Panderia all coming up over the next year or so, on top of any secret projects it may have under wraps. BlizzCon itself has been a yearly event since 2005, with the one exception of 2006 in which Blizzard decided to hold off on hosting the event. Blizzard has used its convention in the past to announce details about its upcoming projects.